Millions of apps currently populate the App Store and Google Play, making it increasingly difficult for developers with a stringent marketing budget to get their apps discovered. The cost of acquiring a new app user who opens an app three times or more has grown from $1.30 in 2012 to $1.62 at the end of 2013, according to Fiksu’s Loyal User Acquisition Cost Index. Many developers are even facing this daunting challenge by going beyond mainstream outlets and publishing their apps at third party app stores. Thus despite the growth in mobile apps and the total number of apps downloaded nearing 7 million per day, developers marketing a new app struggle to compete with established apps. While there are a lot of effective ways to market your app for free, paid channels can help give your app the much-needed initial push. A press release can increase the overall visibility of your app and distribute information about your app to journalists and news outlets around the world. While there are dozens of free press release websites you could submit to, paid services will let you target your releases to your target geography or verticals. A press release will also become part of your company’s public record making it easy for users to find your business or app well after you’ve issued the release. Pay-per-install (PPI) networks help give your app a boost in the early stages of the app’s life. Early attention is vital for an app to gain traction and earn higher rankings. Sign up with your choice of PPI network, plan your campaign and decide on the ‘cost per install’. The network will then encourage users to download the app. You can choose between an incentivized and a non-incentivized download. On an average, a non-incentivized download could cost you 2-3 times an incentivized download. However someone downloading your app because they are interested in it and not to earn any rewards from the network is more likely to open and try it out. The influx of smartphone and tablet devices has greatly impacted the prominence of mobile ads. In fact, mobile ads are projected to increase 64 percent in 2014. Get ad placement on websites that make sense to your business. For example, if you are launching a travel app, buy ad space on travel websites to target the right audience. Cross-promotion can be extremely cost-effective as you earn app installs through free exchange. And the idea is simple; two apps agree to show each other’s ads exclusively on their app. App network exchanges like Tap for Tap and Taptica utilize a credit system. After generating an install for someone else, you earn a credit. These credits are then spent on the network to produce a download for your app. If your app does not support ads, you can still use cross-promotion to get installs by buying credits. Using Facebook to promote your app is no secret – your app should have its own Facebook page. But using Facebook’s ad tool allows you to target a specific audience based on gender, age, location as well their page likes to encourage app downloads as well as social sharing. Facebook knows the demographics and interests of more than one billion users. This type of audience knowledge is invaluable. Learn more about how to create a top notch Facebook ad from this free HubSpot guide. App Recommendation programs are becoming increasingly important as more and more apps hit the market. These programs use advanced algorithms to track user behavior and content consumed to offer the best app recommendations increasing the likelihood of app download. Becoming an advertiser with them will feature your app as a sponsored app on relevant searches. Twitter reaches more than 231 million monthly users and the social media giant allows businesses to send promoted tweets to targeted users who don’t follow the account. These tweets are seen in a user’s timeline as well as search results. Twitter allows you to target users based on the accounts they follow making your promoted tweet reach the right audience. Apart from this, Twitter Cards allow users to download an app directly from the tweet. All you need to do is include these footer tags in your markup. When the copy of a tweet includes any app content user will see a ‘Get the App’ link to download the app directly. App directory listings are a great place for users to search for new and popular apps. Sites like Appolicious and AppBrain categorize apps while providing reviews and rankings based on internal analysis and user experience. Consumers can install apps directly from these platforms and provide instant feedback or share their experience with your app through social media. Again, the rates charged by app directory listing companies are based on number of installs generated. As all marketers know, it’s crucial to identify your target audience and primary regions of interest in your product. The same is true for app marketers. If the primary audience is located in a predominantly Spanish-speaking region, it’s wise to have your app translated to Spanish so your audience can enjoy a user-friendly experience. If your app is popular worldwide, you should have your app translated in the most popular languages – Chinese, Korean, Spanish, French and English. Google Translate offers free translation however; using a professional agency will ensure a more accurate translation. Images and screenshots of your app will entice users to learn more, but creating a video for your app allows users to experience a deeper interaction. Watching an app in use is much different than looking at an image and reading a description. Use websites like Elance to find designer who can create the video for you. Remember localization, too. If you have global audiences, make sure the video is translated in the right languages. You can also create excitement around your app with a contest or giveaway. Urge users to download your app for chances to win prizes like gift cards, in-app bonuses or credit to purchase new app features. Use Facebook, Twitter, Instagram and other social media channels to broadcast your contest and create a unique contest or giveaway based on your app. For example, an organizational app can ask users to take a photo of their neat and tidy desk and select the top three winners for a gift card to a major office supply store. All the above activities put together bring your marketing spend to $1,000. Use a combination of the paid channels mentioned above along with promoting your app using channels that cost nothing to find out what works best for your app. Obviously, there is no magic formula to know what will prove useful. Start small and measure your ROI from each channel to know which channels to focus on as you move forward. If you are planning a beacon pilot, take a look at the Beaconstac Starter Kit which includes everything you need to get started. Using the Starter kit you can set up your own campaign, without a developer’s help! 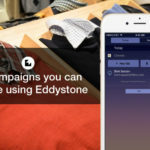 Beacons vs Geofencing: Which Location-Aware Technology Should Your Business Use? Try YunGO mobile app to make cheap international calls worldwide from $0.01/min. Visit https://yun-go.com to learn more about rates and other features.